Last weekend I've made him a simple paella recipe I've found online at cooknshare.com. I'm happy it turned out well. Seeing my husband's face loving the meals I've prepared makes my heart swell with joy. Because it's my first time making paella, I don't expect perfection. My ultimate desire is to make this recipe my own. Let's just say this is called motherhood in training. I've figured to published the meals I've prepared in my blog so that I could easily look back to it in the future. 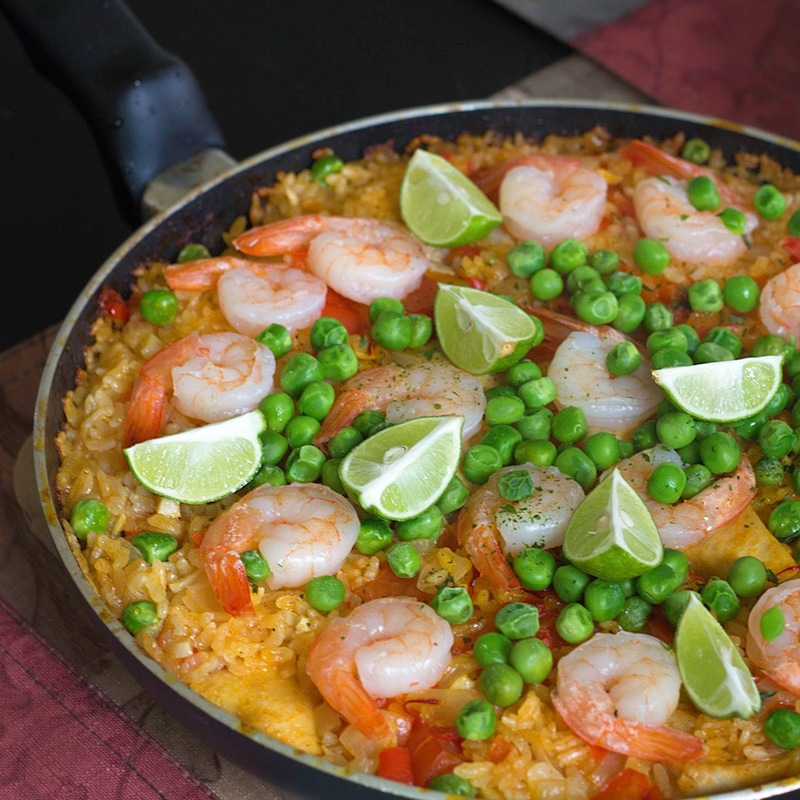 To find out more about this recipe check out http://cooknshare.com/recipe/simple-paella/.